The holiday season is upon us, and no matter which holidays you celebrate, there are ideas in this episode to help you be more prepared and less stressed out over the next couple of months. In this episode, you’ll get ideas from Lisa Bedford, Donna Miller, Sylvia Britton, and myself. Each of these ladies has their own show on the Survival Mom Radio Network, so check them out! 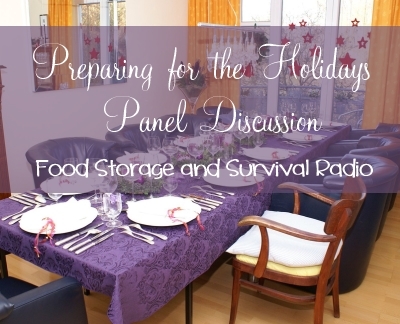 We cover a slew of topics from keeping extra food on hand to being safe in your holiday travels to alternative cooking options.